Tokoyo/Mumbai: Daiichi Sankyo Co. Ltd, Japan’s No. 3 drug maker, cut its annual profit forecast by almost half after Indian unit Ranbaxy Laboratories Ltd said it would make a $500 million provision related to a probe by the US Department of Justice. 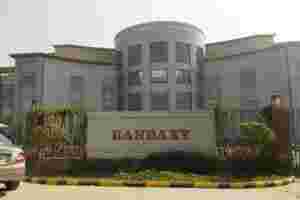 Ranbaxy said on Wednesday that it settled a long-running compliance dispute with the US Food and Drug Administration (FDA), which had accused the company in 2009 of falsifying data and test results in drug applications, and halted reviews of drugs made at the company’s plants in Paonta Sahib (Himachal Pradesh) and Dewas (Madhya Pradesh). Ranbaxy said the provision it plans to make would resolve potential criminal and civil liabilities arising from a related investigation by the US Department of Justice. “This is an incremental negative as the penalty is on the higher end of our expected range of $200-500 million," Nomura said in a note. Ranbaxy, whose shares initially rose 2% on the announcement, also said it had committed to further strengthen its procedures and policies to ensure data integrity and to comply with good manufacturing practices. The shares eventually closed almost 3% up, at ₹ 406.95 each. The BSE Sensex closed up 3.36%. Daiichi, which took a 64% stake in Ranbaxy in 2008, revised down its net profit forecast for the year that ends in March 2012 by 48% to 26 billion yen ($335 million). Angel Broking Ltd said in a note that while it was unclear whether the deal represented a full and final settlement with the FDA, “it is a positive development towards a resolution". Ranbaxy launched a generic version of Pfizer Inc.’s largest-selling drug Lipitor in the US earlier this month after shifting the manufacturing site from India to the US even as it continued its negotiation with the regulator. The firm had to shift manufacturing of the drug to its US facility Ohm Laboratories due to quality compliance issues at its Indian facilities which were to manufacture the anti-cholesterol pill. This led to fears that the company would lose out on sales of the Lipitor generic to its competitor Watson Pharmaceuticals Inc.
Pharma analysts Saion Mukherjee and Aditya Khemka of Nomura Financial Advisory and Securities (India) Pvt. Ltd wrote in report on Wednesday that the approval timeline (for the consent decree) is unclear. “We note that the consent decree lays out a plan of action as agreed by the two parties to resolve the outstanding issues. However, the timeline regarding the resolution is still unclear," they said. Although the uncertainty regarding the timeline of resolution of manufacturing with the FDA is a negative, Wednesday’s announcement is a milestone. The consent decree creates a pathway for resolution for Ranbaxy and the provisioning diminishes uncertainty around the potential penalty, they added. Ranbaxy’s chief executive officer and managing director Arun Sawhney said in a statement that the company was committed to ensuring that all its facilities meet the high standards expected from it. “Importantly, these developments bring greater predictability to Ranbaxy’s US operations and allow us to focus all of our efforts on bringing high quality products to market for the benefit of consumers," he added. Sarabjit Kaur, analyst at Angel Broking, said this was a positive development for the company. “We shouldn’t look at the short term. Given that the liabilities and the amount are both disclosed, this puts behind all the issues the company had to address in the US," she said, adding, “they have indicated that calendar year 2012 will be good for the company in the US, without giving any specifics." Other Indian companies, including Aurobindo Pharma Ltd, Sun Pharmaceutical Industries Ltd and Cadila Healthcare Ltd have been struggling to get FDA approval for one plant each over compliance issues. Separately, Ranbaxy said on Wednesday it would market Daiichi’s products in Malaysia by launching anti-bacterial drug Cravit in January. Shares of Daiichi rose 2.9% against a 1.5% climb in the benchmark Nikkei 225. Mint’s Namrata Nandakumar contributed to this story.